With a heart of full of emotions, author Aytaç Aydoğan Edwards brings to bookshelves her poetic prowess as she marshals poems that will touch the heart and move the soul. “Between Two Worlds,” her book of poetry released through Xlibris, explores the many facets of life as captured by melodic words. Edwards’ poetry is influenced by Islamic Sufi and Buddhist teachings. Her poems are meditations on human life’s connectedness with nature. In this book, she shares her reflections on aspects of her life and her thoughts on death. The poem “Silence” talks about the beauty that could be felt in listening to the sound of stillness. “Seeking God” is a moving piece that exudes how man could never be able to find the Almighty through earthly wonders; he should delve deeper within his spiritual being. Lighthearted yet insightful, “Books” tells about how good books amazingly linger in one’s head or heart. “Sesame Seeds”, written as dark and melancholic, is one man’s expression of longing for a loved one that has passed away. 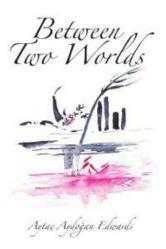 With each verse seamlessly crafted and each line poignantly written, “Between Two Worlds” takes readers to the inner corners of one’s heart and soul. Through each beautiful piece, readers will learn to see the beauty of nature, the essence of faith, and the bliss of living. This book will be featured at the 2012 New York State Reading Association Book Exhibit in Saratoga Springs, New York, on April 3-5, 2012. For more information on this book, interested parties may log on to http://www.Xlibris.com. Aytaç Aydoğan Edwards was born and raised in Istanbul, Turkey. Her parents were first generation secular Turks. They were inspired by Ataturk's westernization of Turkey. Her religious grandmother was imbued by Sufism and gave her religious education. The author later became interested in Buddhism and learned from the Buddhist teachings. She graduated from Robert College in Istanbul and came to the U.S.A on a scholarship. She obtained an M.S.W at the State University of New York at Stony Brook. Aytaç Aydoğan Edwards is a clinical social worker in private practice. She paints and recently had a one woman show of her paintings in Istanbul. The author lives in the U.S.A. with her husband. They have three children and two grandchildren.